This review is about item#7133463. On Demio's alternator drive belt Discover the crack! If it breaks while driving, it causes a major accident As we were troubled when we became, we replaced early. Auto tensioner to loosen the belt tension KTC / Super Long Straight Glasses Wrench I changed my long belt somehow somehow. KTC tools with 10% discount on work tools I was happy to buy it cheaply. It is indispensable for deep inside of the engine and underbody. I do not absolutely lose it when I buy it. I used it in shock exchange of an old car, but I could use it with confidence. If you can purchase at this price, I would like to use a reliable tool. This review is about item#25648806. I could buy it at a cheaper unit price than I thought, I was satisfied with the product, I also want to recommend it to other people. This review is about item#7133454. I managed to put it in a narrow place and was tightened with high torque. This review is about item#07133472. Kusaki KTC. Despite the fact that the head of the bolt was licking, we were able to handle the tool securely. This review is about item#7133436. Smaller screws make heads slippery, let's exchange tools frequently. It is truly KTC. The price was high, so I could use it with confidence. I was tightly fitting the nut and the nut did not lick. This review is about item#7133445. This review is about item#07133445. Somewhat satisfied is because it is necessary to bend and bend while burning with a burner, because it hits the wheel when it is straight, it takes a little effort in that it does not enter the bolt, so it is satisfactory as a tool. This review is about item#07133436. This review is about item#07133454. I purchased it for the fan belt of Renault · Kangoo, but I am very satisfied. You can work with peace of mind. I do not seem to lick and I can also apply torque. You can use it until you die unless you do not lose it. I felt that the handle of the nut was also good as a first-rate manufacturer of fluffy stones. There is no problem in use. There is no loss in tooling. This review is about item#07133463. Frequent use and removal of small M10, M12 bolt is convenient. 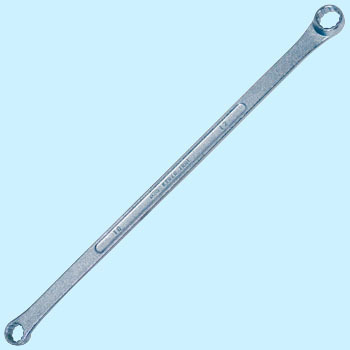 KTC is a very reliable manufacturer and straightforward type is very easy to use because it does not require power to remove the bolt. I do not use this size pretty much, but when there is a necessary time there is a shortage of power due to my recent age! It seems that this size has increased recently because it deals with imported cars. I think you can possess it!